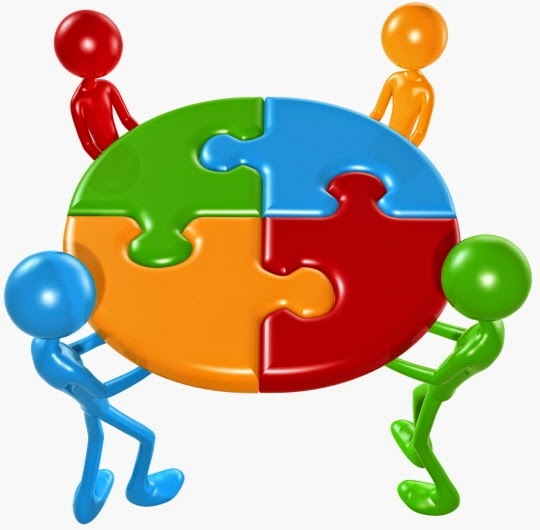 The common recommendation by TPS experts is that Kaizen teams must be cross-functional. The common rule is to form the team with 1/3 target area members, 1/3 from upstream and downstream areas, and 1/3 from external areas (i.e. : Finance, engineering, HR). This makes sense, and sounds reasonable, however I found that perhaps the best way to explain the benefit of the cross-functional structure of the Kaizen team is to look into the ‘science’ of innovation. After all, Kaizen IS Innovation… albeit most people associate the latter, by default, with radical innovation (i.e. : iPODs, blackberrys, NASA, etc.). On the other hand, Kaizen (in 99% of the cases), is about incremental innovation, but the best practices for achieving incremental or radical innovation are the same. Perhaps one of the best articles I’ve read about innovation was in the New Yorker (see this blog post), and clearly shows how great inventions come from the sharing of the right information at the right time. It goes into detail of how a company, Intellectual Ventures, was founded and how it became one of the greatest inventing organizations of our time. (IV, as it’s known for short, is 100% dedicated to the business of inventing, patenting, and licensing their inventions.) So how do they do it? While most organizations load up their R&D departments with engineers, doctors, chemists, and technical gurus, IV loads up with, lawyers, doctors, pilots, musicians, paleontologists, chemical engineers, programmers, teachers, and everyone you can think of, and launches brainstorming sessions to tackle myriads of problems. What they realized is that inventions seldom come from one individual and instead come from a set of circumstances that bring multiple experiences and information together in one place to help solve a problem. That’s why a Kaizen team benefits from being cross-functional, and why the ‘thirds’ rule makes good sense. The more varied the experiences, the greater will be the chance to succeed with a solution. So as I like to say when emphasizing the benefits of teamwork… Nobody has the answer, but everybody has the answer. Posted on Tuesday, March 09, 2010 by George R.
so what type of departement can Kaizen teams be applied to? Kaizen teams can be applied anywhere there is a need to improve processes or solve problems. The crossfunctional nature of a Kaizen team allows for multiple views or approaches to be applied at solving problems. Cool, thankyou, and also do you know what type of departement autonomous work groups can be applied to? Dear George R , I really appreciate you for this blog as through this blog we usually comes to know that at which department the need of kaizen is and how to implement to improve our business, I am really inspire with the team of Kaizen Training as in offers and training as well.